Operation Emotion is a Plymouth based charity that provides services for adult male survivors of sexual abuse, linking with specialist organisations where appropriate. As a trauma led service we specialise in groupwork offering a range of self help initiatives and educational programmes that enable men to engage in a process of recovery. We never ask what is wrong with someone but instead what happened to them. We help men to come to terms with their own experiences and play an active role in helping other men who have been similarly affected by sexual abuse. We also work with other agencies to promote best practice leading to an improvement in services. Our trustees are drawn from the statutory and voluntary sectors and are skilled individuals, with a wide range of experiencess, who are keen to promote an open healthy debate in society about the consequences of sexual abuse. The board’s objectives are to promote three areas of project development through Education, Prevention and Campaigning. 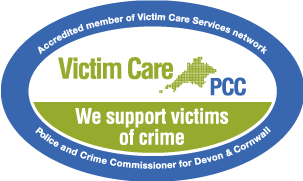 They also manage all the organisations’ services for men who have been sexually abused. Operation Emotion is keen to challenge attitudes about sexual abuse and we produce various educational films that challenge mythology, stereotypes and misinformation about sexual abuse. These compelling short films demonstrate the enormous consequences of sexual abuse whillst sharing individual stories about hope and recovery. The aim is to educate and inform society about sexual abuse and dispel myths, stereotyping and misinformation. Survivors Stories is a short film that features a selection of comments from episodes of the Operation Emotion Survivors Stories depositions. All information contained within relates to actual crimes and real life events. Our interactive mobile phone app contains links to media and useful information about sexual abuse. It’s free and can be downloaded from Google Play. Our iOS app is due for release shortly on the App Store.